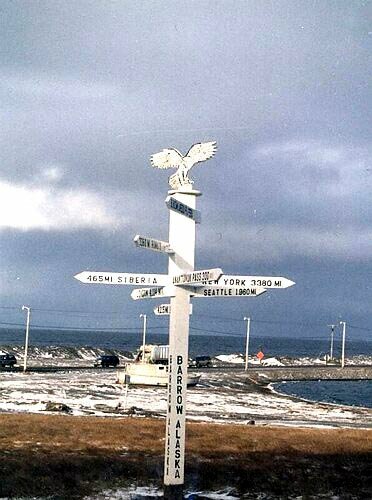 Barrow with a population of four thousand is the northernmost community in North America. It is located on the Chukchi sea coast, 10 miles south of Point Barrow from which it takes its name. Barrow is 725 air miles from Anchorage and has an arctic climate. The sun does not set between May 10th - August 2nd each year and does not rise between November 18th - January 24th each winter. The daily minimum temperature is below freezing 324 days of the year.